Sally Foley-Lewis has a million different titles. 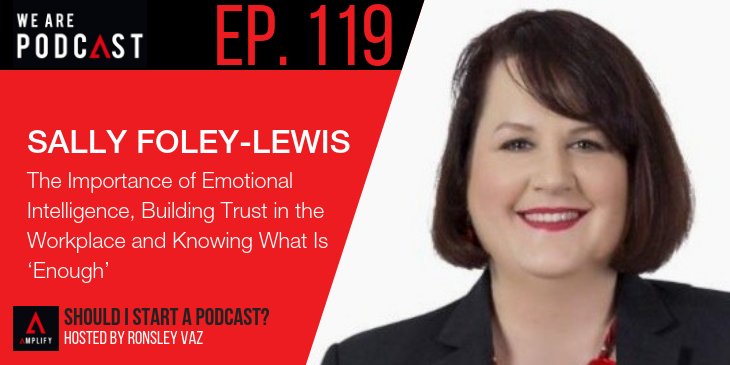 She’s an expert in middle management, a podcast host, a bestselling author, a speaker. I could go on and on, but the point is Sally knows her stuff when it comes to being a good leader. On this latest episode, we have a far-ranging talk that covers everything from finding inner peace as busybodies to the best way to capture our great ideas. Sally is an incredibly humble and wise leader, and I absolutely loved our talk.